BROOKLYN HEIGHTS (WABC) -- Police are investigating graffiti found in a playground in Brooklyn as a hate crime. 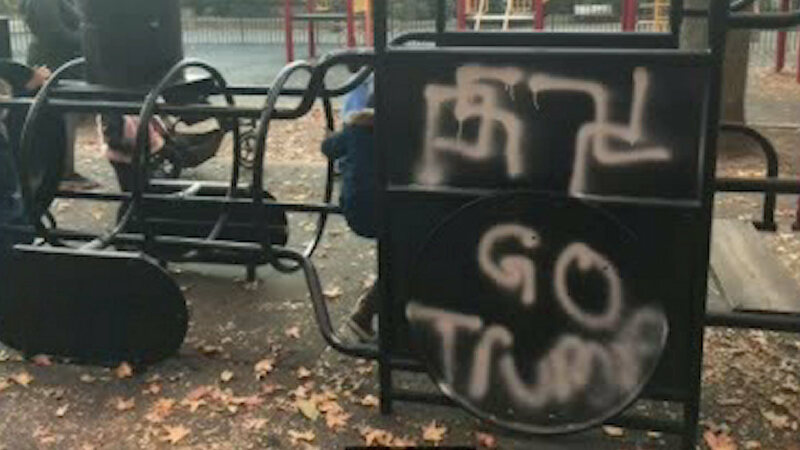 Vandals spray-painted swastikas and the words "Go Trump" on playground equipment at Adam Yauch Park in Brooklyn Heights. City Councilmember Brad Lander tweeted the picture. He and several other community leaders plan to meet at the playground Sunday to stand up against hate messages.